Are you having a mal-functioning torchpad keyboard where most basic keyboards or keys for Andriod devices used in operating them are situated. Such keys which are as follows; Minimizing key, Home key, Back or cancel key, Call key, camera key etc, may be not working well, as it used to be. Maybe you mistakenly fell the device on a hard surface or inside a liquid substance, and due to that, the device now develop a key-pad faults, thereby making some of the basic keys which are required in order for the device to perform its work well when clicked by the user, not to work. 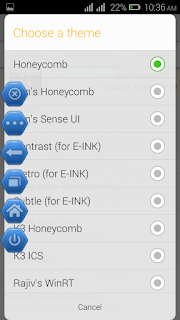 So the aim of this post, is to guide anyone having his/her Android device key or buttons, maybe malfunctionion or faulty to work perfectly well with an app called Button savior. Although the app won't fix the damages done on the keyboards internally but its a better alternative to use some of your basic keys which was listed above. Button savior is well developed for its function as the name appears to be. it was embedded with many features that benefits any user that uses it. Most of the features are such that all would want to apply when using it. 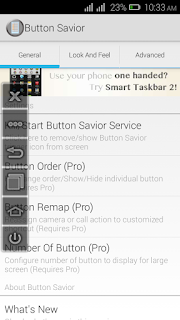 Button savior application have the following features apart from it's main work that provides external keyboards on your Android device's screen. ==>Swipe Trigger Sensitivity and so many more. 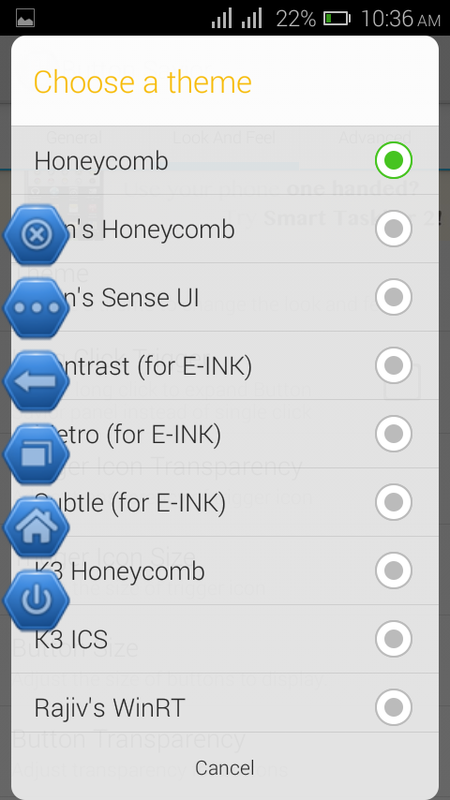 I decided to share this app to Techbmc fans, already I have referred so many friends who are encountering button problem on their Android devices to use the app. And to have it, they all confessed good about it work, saving them from the stress or dumping their phone or even taking it to a phone repairer and on the cause of repairing another fault emanates. You can download Button savior Android app from Google play store by clicking Here. Note: For all the keys to function very well, your device need to be rooted or else some of the button savior keys won't function, just few will work. So endeavor to root your phone if not rooted. You can root your device from this guide provided Here. This may be so helpful to someone out there, so help to solve such problem for that person by sharing this post using the below share buttons, you can either use Facebook share button, or Twitter, Google plus, even on whatsapp probably by coping the link. If you are encountering any difficulty using this app, please don't hesitate to use the comment box below for your question.